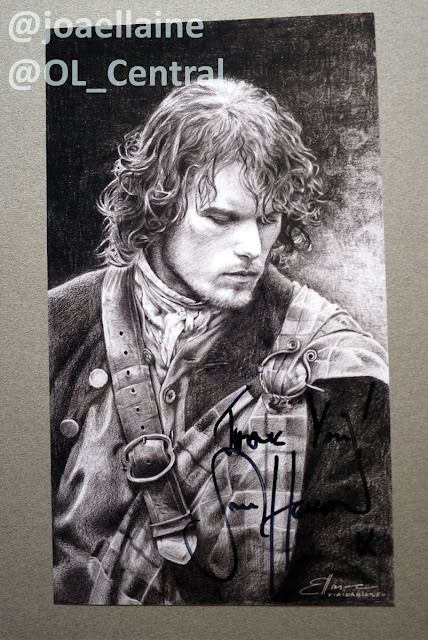 Outlander Central: "Blood of My Blood" Silent Auction Benefitting Bloodwise! "Blood of My Blood" Silent Auction Benefitting Bloodwise! Hey Sassenachs! It's here! We've joined forces with @joaellaine to raise money for Bloodwise UK. 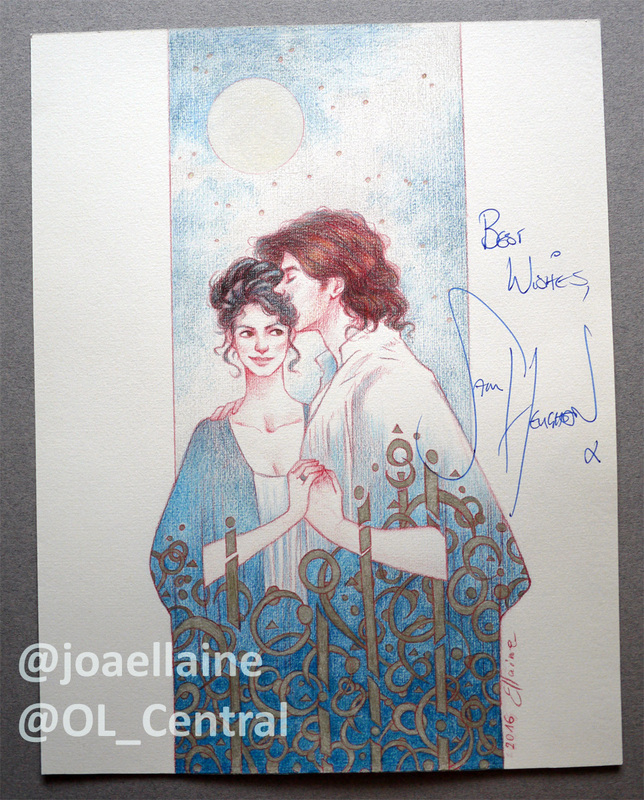 Joanna was lucky enough to meet Sam Heughan at the Jibland show in Rome, where she was able to show him some of her work. Needless to say, he was verra impressed with her talent! (Man's got great taste, ye ken!). When Jo told him that she wanted to help raise money for his charity by auctioning some of her work, he most graciously signed two of the pieces to help!! In addition to those very special pieces, all of Jo's most popular Outlander-themed designs will also be up for grabs, so bid GENEROUSLY AND OFTEN! TULACH "ART" - Let's do Sam, and Bloodwise, proud! Is a self – taught illustrator, book worm and night owl, and a devoted, trained analyst of fictional stories and characters. She has studied German and English literature - loves to read and then to illustrate what she's read. She is also an occasional contributor for a pop culture online magazine and works as freelance artist. Her love for Outlander began with the TV show a year ago when a friend recommended it to her. Not able to wait half of a year for the next episodes, she read the books and fell in love even more with the characters, strong emotions, mixed genres and humour created by Diana Gabaldon. (We can all related to that, Jo!). And that's how the passion for illustrating the books and the show was born.